What is the goal of your initial sales call? 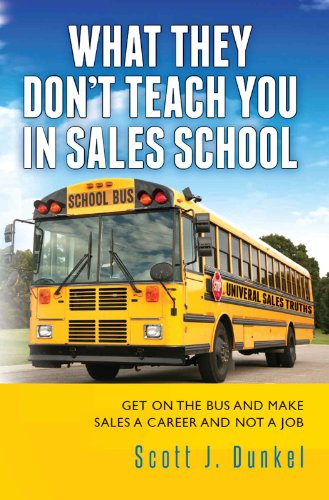 As a small business owner in Florida, with over 38 years of sales experience, I still consider myself a student on the subject of sales. Buying habits are changing. Relying on sales strategies that were successful even 5 years ago, can be a recipe for frustration and disappointment for the sales professional, and the client. Always scouting for new and better methods to achieve our company goals, I was fortunate enough to find Scott’s book. I read it cover to cover in one day, yellow highlighter in hand. Scott has the ability to convey his message in a manner that is easy to understand, while providing powerful examples of how to incorporate his tools for sales success. In my opinion, whether you are a sales professional just entering the most lucrative of all fields, or a seasoned veteran tasked with building and nurturing a sales team to realize maximum performance, this book will help you achieve your personal and corporate goals. Geared to current college students and recent graduates. Designed for the junior sales executive to achieve the next level. Workshops for the more seasoned sales executive. Design and implement a sales and marketing strategy. Get monthly sales tips from Scott Dunkel by email. We do not share or sell our subscriber lists and you can unsubscribe at anytime. After a successful 30-year career in the highly competitive field of high-tech sales, Scott is now directing his attention to mentoring young business-to-business (B2B) sales execs to help them avoid the pitfalls and roadblocks that negatively affect sales success. Based on his experience as well as numerous interviews with successful sales execs, he has come to the conclusion that long-term success can be achieved by following fundamental sales truths that stand the test of time. He writes about these principles in his monthly sales blog as well as in his book “What They Don’t Teach You in Sales School,” which has received 5-star reviews on Amazon. In addition, Scott volunteers with the local SCORE chapter. SCORE is a nonprofit association affiliated with the Small Business Association (SBA) that provides mentoring for small-business owners. After graduating from St. John’s University in 1976 with a degree in business administration, Scott Dunkel accepted a position as a sales representative with Burroughs Corporation. He was assigned a territory in Brooklyn, N.Y., that included sections of Bedford-Stuyvesant, East New York, Brownsville, Greenpoint, and Williamsburg. For those of you who know New York, you can appreciate how challenging this territory was back in the ’70s. After two years of pounding the Brooklyn pavement selling mini-computers and high-end business calculators, Scott recognized that his efforts would be better served by representing another product in another market. His research uncovered an excellent opportunity to sell plug-compatible devices for IBM mainframe computers with a company called Telex Computer Products. The company was transitioning from selling tape and disk drives to 3270-compatible display terminals. The mainframe world was going online, which generated significant demand for terminal displays, and IBM could not keep up with the demand. Telex was positioned to capitalize on this demand and was looking to add a sales rep in New York City. Scott contacted Frank, Telex’s regional sales manager, to discuss the opportunity. The conversation did not go well. Frank was interested in a more seasoned sales exec — one who was in his 30s or 40s and had a minimum of 10 years of successfully competing against IBM in the mainframe market. Scott had a year and half of experience selling mini-computers door-to-door in Brooklyn. He was not what Frank was looking for. But Scott’s lack of experience was offset by his tenacity and never-say-die attitude. He continued to contact Frank on a monthly basis and met him several times. Plus, Scott found out that Frank was a huge tennis fan and arranged to take him and his wife, Linda, to the U.S. Open. It helped that Scott’s fiancée worked for the United States Tennis Association. Scott approached his pursuit of the Telex sales opportunity much like a professional sales exec would sell to a major account. After almost a year of intense selling, Scott was finally offered the job in July 1978. At the time, Telex had only 30 salespeople in the entire country. Scott was the youngest at 24. All of the other reps were in their mid- to late-30s. Some were approaching 50! This was truly a very seasoned and professional sales force that needed very little management. Scott’s new territory was a bit of an upgrade from what he covered at Burroughs. He was assigned the entire city of New York as well as Long Island. Lots of IBM mainframes equaled lots of opportunity. The challenge for Scott was his lack of experience, which Frank had felt was necessary to be successful at Telex. Additionally, since Telex was a small company, it didn’t have sales or product training. Employees were expected to do everything on their own. Scott had convinced Frank that he could do the job — now he had to execute on that promise. Scott spent eight successful years with Telex, learning how to be a professional sales exec from some of the best in the industry. In 1986 Thomas Nationwide Computer Corporation offered him an opportunity to learn the computer leasing business. He took the job and learned a lot about the financial aspects of business, but it did not sit well with him. He spent three years in the leasing business before accepting a position back at Telex, which had merged with Memorex, as the mid-Atlantic regional leasing manager. In 1993, with Memorex/Telex struggling financially from the debt service that resulted from the merger, Scott began to look for other opportunities. As luck would have it, his previous manager at Memorex/Telex had landed a successful position at EMC Corporation. Al had sales responsibility for the entire mid-Atlantic region. And the good news was EMC was looking to add a rep in the Baltimore/Washington, D.C. area. Scott contacted Al and began his 12-year tenure with EMC. During his career at EMC, Scott consistently attained quota and replaced IBM data storage with EMC in more than 20 accounts in the Baltimore/Washington, D.C. area. He was responsible for placing the first EMC storage systems in accounts such as Citigroup, Blue Cross, T. Rowe Price, World Bank, GEICO, First Data, and Allegis Group. In the field of high-technology sales, an industry infamous for churning and burning sales reps, Scott mastered the craft of professional sales for more than 25 years. In his book he shares insightful examples from his career that will resonate with salespeople competing at the highest levels. 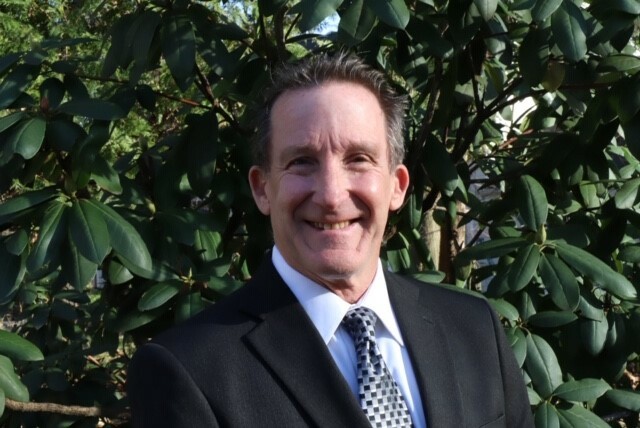 Today Scott focuses his attention on helping sales professionals elevate their game to new levels by offering workshops, a monthly sales newsletter, as well as one-on-one sales mentoring. Additionally, he volunteers his time with SCORE, a nonprofit association affiliated with the Small Business Association. SCORE is dedicated to helping small businesses get off the ground, grow, and achieve their goals through education and mentorship.